The book really sets out to examine one question: Assuming exposed atomic nuclei could interact with each other in a manner analogous to chemistry what might life that evolved as a result of that “chemistry” look like? Pretty much everything else in the book is window dressing for this avenue of thought, but enjoyable window dressing all the same. 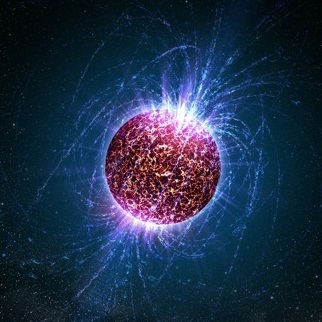 Most important to the pacing and structure of the novel is that this theoretical nuclear pseudo-chemistry is much, much faster than the chemistry we are familiar with, so the time scale of life on the neutron star is significantly accelerated as compared to humanity. As a result of this an entire civilization experiences its genesis and develops through several distinct technological phases, eventually surpassing humanity altogether, all while the research team above watch, sometimes oblivious, from above. The mismatched pacing between the humans and the creatures on the star below causes the society itself to become something more like a character in the story than it is part of the setting. If the questions of how we could interact with such a society, or what the impact might be of a research ship hovering overhead during the development of a civilization, or just what the surface of a neutron star might be like interest you then I’d recommend checking it out. It also has a sequel, Starquake, which I have not read. Maybe I should?